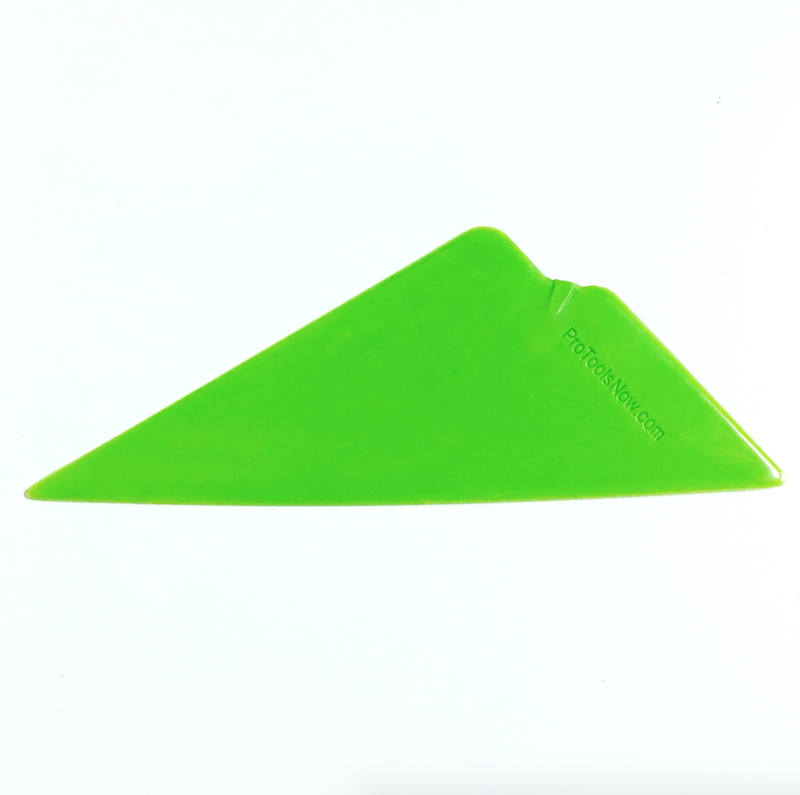 The new EZ Wing corner tool by Pro Tools Now offers all of the benefits of a traditional triangle squeegee tool, but offers some new features as well that you will love. The first thing that differentiates the EZ Wing from a Pro Tools Now product like the EZ Reach or EZ Reach Ultra is the unique chizler tip that enables you to flip it over to chizel out those stubborn creases or dust spots. The second feature of the new EZ Wing is the increased stiffness across the nose of the tool. This will allow you to apply more pressure out at the tip in those situation where you are reaching into a tight spot. The last, and most exciting, new feature of the EZ Wing is the integration of Pro Tools Now’s Control Contour Technology (CCT). This technology is found in the slightly curved main edge of the EZ Wing. The curved edge is designed to enable the tool to encourage a finger or bubble to disperse outward, which reduces the likelihood of a crease. So, check out the next generation in triangle squeegee tools by giving the New EZ Wing a try today! I’d like to try out two of the easy wings and possibly two of the 6″speed wings if they are good for heat shrinking back window glasses? Sorry for the delay in getting back with you regarding the 6″ Speed Wings. We have been told that people like the Lime Speed Wings for heat shrinking. You can find them at 44Tools, Interwest Tools, Zola Tools and most other installation tool suppliers. Again, sorry for taking so long to respond and thank you for your interest in Pro Tools Now. At last! Someone with the insight to solve the prbleom! Thanks. Glad you like it!